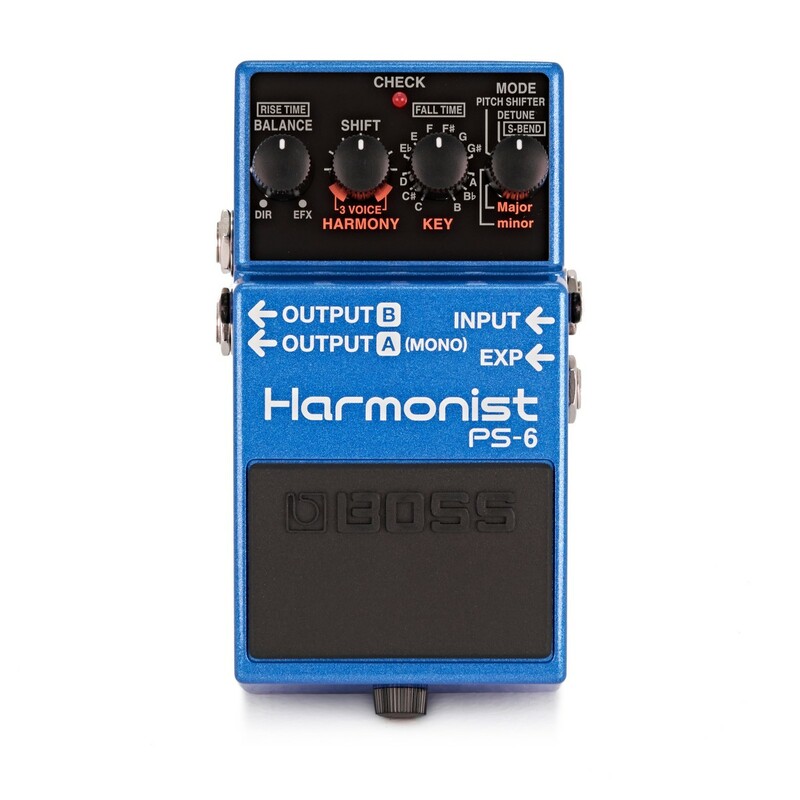 The Boss PS-6 Harmony Effects Pedal is the perfect tool for giving your sound extra depth and a beautifully rich texture, offering four intelligent pitch effects for a versatile performance. Create everything from a classic octave pitch shift and detune, to a beautiful three-voice harmony and an extreme 4 octave pitch bend. Each mode features an array of tonal adjustments, ensuring players can dial in the perfect sound for any situation. 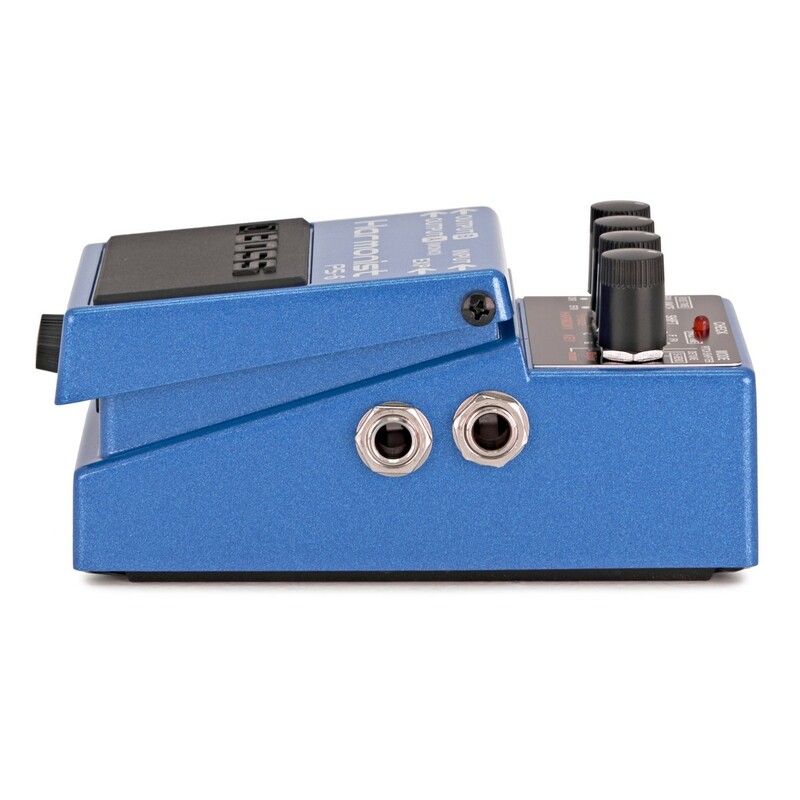 The addition of an EXP input also allows players to externally control the pedals parameters with an expression pedal, while the mono and stereo outputs provide a range of different setups. Offering Boss' iconic combination of superior sound quality, ease of use, and powerful pitch effects, the Boss PS-6 Harmony Pedal is perfect for any pedalboard. 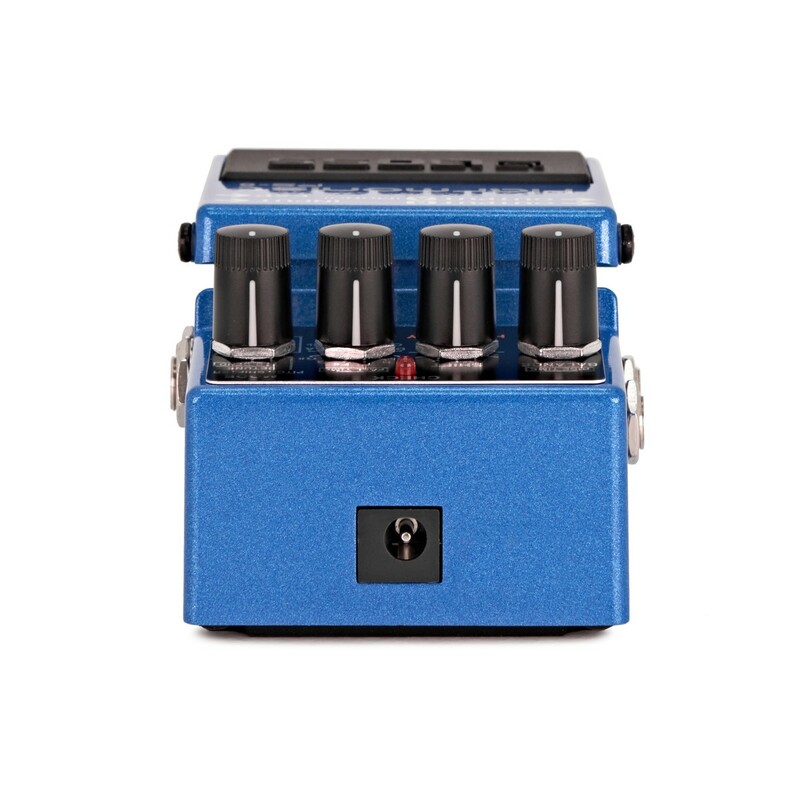 The PS-6 Harmonist is equipped with four intelligent pitch shifting effects, ranging from a standard pitch shifter and detuner, to a beautiful harmoniser and a unique S-bend effect. Players can create a rich two or three voice-harmony with ease, with selectable key and voicing options to deliver a whole host of stunning soundscapes. If more depth is required, you can switch the pedal into its three-voice detune mode, offering a deep, rich sound which naturally broadens your tone. The classic pitch shifter offers a voice one octave up or a fifth below your original note, perfect for arpeggio-style playing. The final mode is the unique S-bend, delivering up to four octaves of extreme pitch bending. When in this mode, the PS-6 will bend your pitch across a 7-octave span, with adjustable rise and fall times to suit your personal taste. 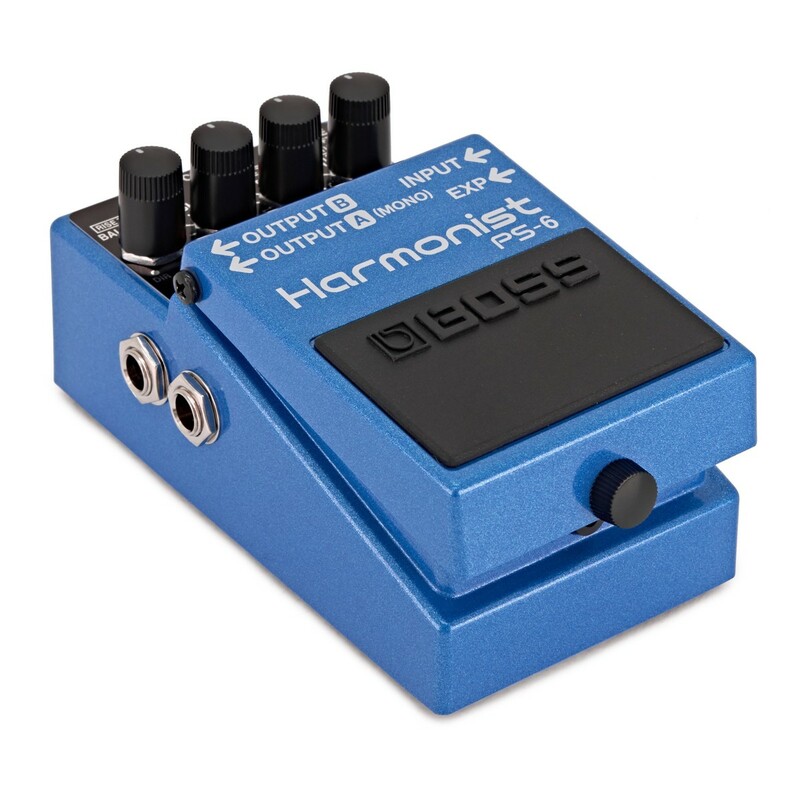 Although the Boss Harmonist Pedal features three adjustable parameters for each effect, its simplistic and intuitive setup ensures players receive a wide array of tonal adjustments for delivering the perfect performance. An EXP input is also included, allowing players to connect an external expression pedal and adjust the bending effect or pitch. Stereo and mono outputs are also added, allowing players to incorporate the PS-6 into a variety of rigs and deliver completely immersive soundscapes.